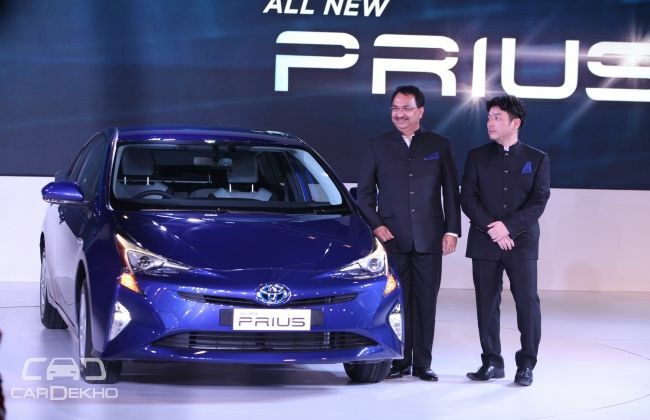 Toyota's eco-friendly saviour of the planet, the Prius, will kick off its second innings in India with the onset of the new year. Sources close to the Japanese automaker have confirmed a probable launch in the second week of January. The hybrid saloon is a monumental cornerstone in Toyota's journey of being among the world leaders in automobile technology. India got its first taste of the Prius in 2010, when the hybrid was first unveiled to the masses at the Delhi Auto Expo. Over the years, it had limited takers, thanks to its high sticker price. Dial in the fact that our market isn't as environmentally savvy as a few in the west, and you know the Prius isn't something that will fly off the shelves in India. Trivia: The Prius had an exorbitant price tag even in 2010. Ex-showroom prices started at Rs 26.5 lakh! Toyota isn't hoping it will be a sales blockbuster either. The Prius will be a halo product for the Japanese brand, serving as a reminder of their technological prowess. It draws power from a 1.8-litre petrol motor paired with an electric powerhouse, that pump out 121PS of power put together. The party trick for the Prius has always been fuel-efficiency; which should be around 25kmpl for the new generation. We do not expect the price to be anything close to what we would call affordable, and it is safe to assume an ex-showroom price of around Rs 30 lakh after accounting for the taxes and duties that are levied on fully imported cars. That said, what you get for the price, is the world's best-selling hybrid saloon that is in its best avatar yet. The positioning of the Prius keeps it free from competition, at least in India. The prices are likely to overlap with popular D2 segment sedans such as the Skoda Superb and its own sibling - the Toyota Camry Hybrid. Would you choose the Prius over a conventional big sedan? Let us know through the comments below!